Shree Nirmal Ventures Pvt. 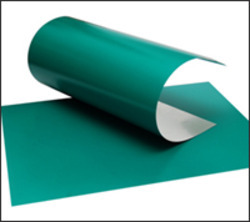 Ltd.
Polyester printing plates are used in minioffset machines. These plates give 5000+ impressions on both sides. "AOGUANG" brand Offset Printing Plate is made of good quality Aluminum plate through eletrochemical graining, positive oxidation, coating, drying and cutting. The plate has a feature of appropriate grain, even coating, good sharpness of dots, high resoloing power, long press life and reliable quality and suitable for various printing. We are providing best of all products. 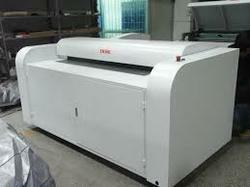 Our organization is involved in offering premium quality Offset Printing Plate to our esteemed clients. This range is fabricated using premium quality basic material and modern technology in accordance with the set industry standards. In addition, this range is widely appreciated for longer service life and superior & high print quality.